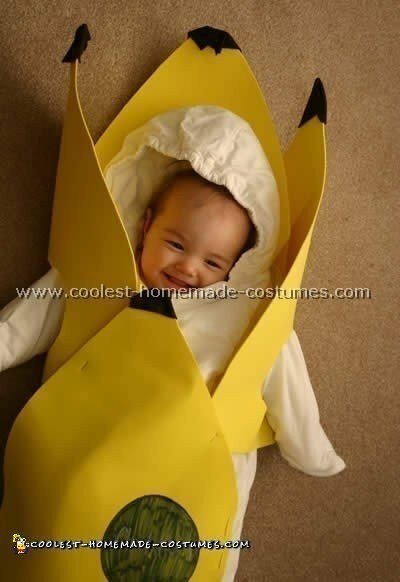 For her first Halloween I thought I’d turn my daughter into a banana costume since her name rhymes with it and it’s what we always call her anyway. I already had a white bunting bag which became the part of the banana you eat. I then stapled on foam cutouts to make the peel. Sewing also works well. For the finishing touch I made a "Chickita" label on it with permanent marker. It was really quick and easy and is one of our favorite pictures of her ever.